Complete challenges for extra rewards! Up for some thrilling Live Casino challenges that will guarantee a cash reward? Then complete one challenge a day, during seven days at Codeta Casino and collect your reward based on the amount of successful completions. All players who manage to meet from four to all of the challenges will bag a share of three cash prize pools. Not yet living your passion at Codeta? Then sign-up here to enjoy their choice of two Welcome Packages, either a 100% deposit bonus, up to €300 or a 10% cashback / winnings top-up for the Live Casino. Bonus terms and conditions apply. 18+ only. 6th – 12th November 2017: Codeta Casino – Challenge Week! For all challenge fans, these are going to be some exciting days at Codeta Casino. Complete challenges every day of the week and collect your guaranteed reward on Monday. Bets with bonus funds do not count towards this promotion, only real money bets are eligible. 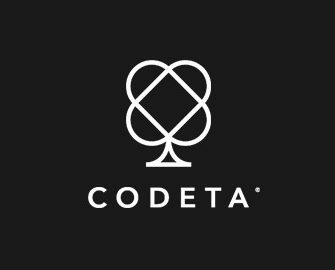 6th November 2017 – The €40 deposit: Whatever you want to play at Codeta and however you play it counts. But, you will have to make a deposit of minimum €40. Only single deposit of €40 or more is eligible, 4 deposits of €10 each doesn’t count. 7th November 2017 – Hit the lucky number: Play Live Immersive Roulette and hit the Lucky number. Lucky number means the date of the day, in this case number 7. 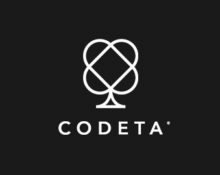 8th November 2017 – Codeta Live Blackjack: Open their dedicated Blackjack Table and place five side bets. Only side bets on this specific table are eligible. 9th November 2017 – Hurry and play on Speed Roulette: Play for €20 or more on Live Speed Roulette. Only bets on this specific table are eligible. 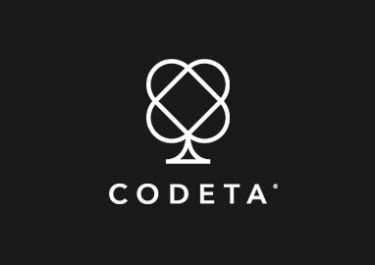 10th November 2017 – Codeta Live Casino takes over: Play for €30 or more in the Live Casino. Can be in one bet or in several smaller bets. 11th November 2017 – Blackjack Day: Get a Blackjack on the dedicated Codeta Live Blackjack table. Only Codeta’s Blackjack table counts. 12th November 2017 – 10 + 10 bets: Play 10 rounds one Live Baccarat and 10 rounds on Live Casino Hold’em. Prizes are allocated according to the amount of challenges a player has completed during the promotional period, with minimum four needed to qualify for a share of the prize pool. All prizes will be credited within 72 hours as bonus with a 1x wagering requirement. Bonus terms and conditions apply. Launched in 2016, the casino is operated by EveryMatrix N.V. under MGA and Curacao Licenses. Focused on Live Casino Games powered by Authentic Gaming, Evolution Gaming and Netent Live, they still offer a very large choice of slots and other games from Netent, 1×2 Gaming, Aristocrat, Booming Games, Elk Studios, IGT, Microgaming, NextGen Gaming, NYX Interactive, Novomatic, Play’n GO, Quickspin and Thunderkick.